Germination of plant seed is typically affected by ambient temperature, moisture, pH of soil, lighting conditions and quality of seed. Usually, only a certain percentage of seed successfully germinates and develops into seedlings. It is less known that specific oscillating electromagnetic fields (EMF) also affect germination rate and the growth of seedlings and their later growth into fully grown plants. Effects of electromagnetic fields on the germination of seed, seedling development and later plant growth can be beneficial or detrimental, depending on the nature of EMF and the way they are applied. 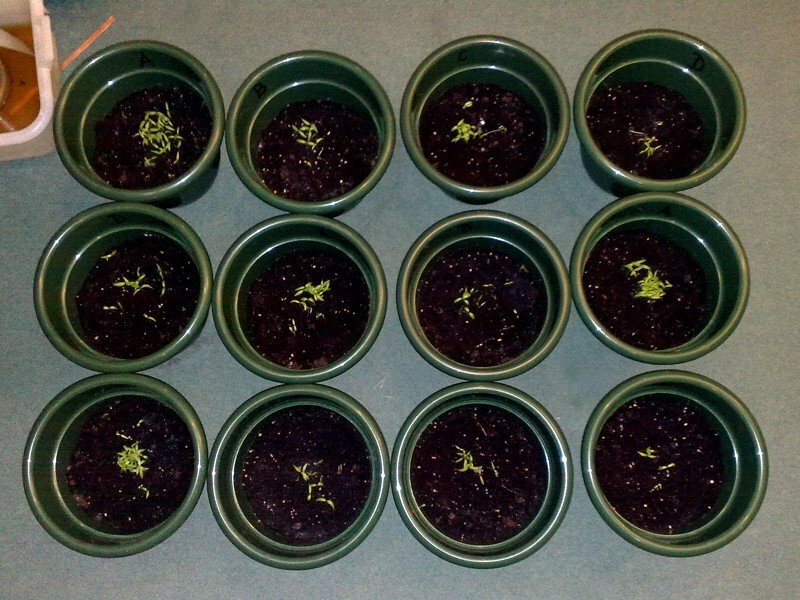 A few years back we did a series of simple experiments to determine how electromagnetic fields affect biological processes of seed and plants. We managed to both increase and decrease the percentage of seed that successfully germinated and developed into seedlings. 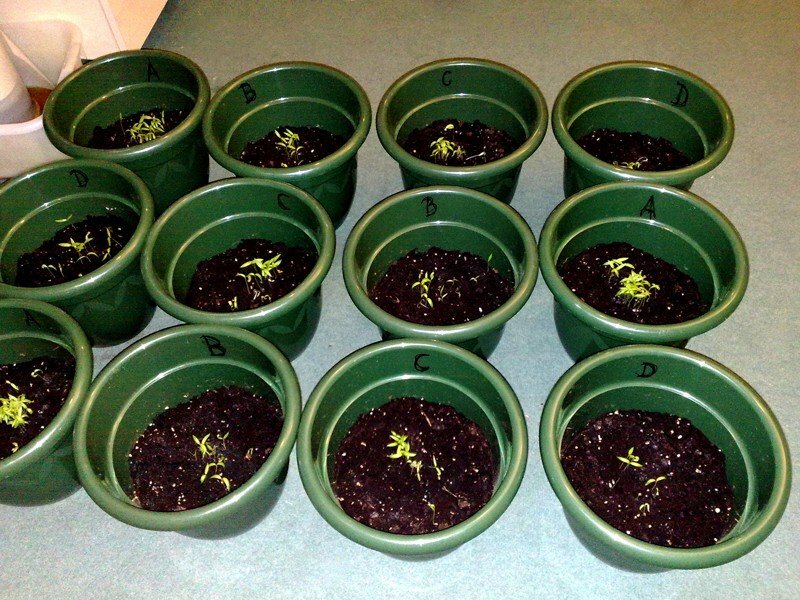 We also determined that the rate of seedlings growth can be affected by EMF as well as their consequent development and growth into fully grown plants without the loss of their health and quality. Of course, there are certain limits to this approach because plants can be overstimulated which consequently leads to their “exhaustion”. However, if proper procedures are observed, achieved results can be surprisingly beneficial. In fact, we have found no less than six different methods of accelerating the growth of plants and increasing their quality. Explanations of biological mechanisms by which EMF affect plants are beyond the scope of this article. We think photographs of the experiment will best illustrate the success of our research. In this particular experiment, we prepared the same number of capsicum seeds from the same supplier batch. We used the same soil in all of the containers. No fertilisers were used although it would have been beneficial if we added coarsely micronised and activated zeolite. Containers were marked with letters A, B, C and D. Containers marked with letter C were treated with a method of germination and growth enhancement using specially designed geometrical shape “antenna”. Such geometrical shape antennas are used to shape environmental electromagnetic fields in a way that is beneficial for living biological systems. Containers marked with letter A were treated with particular actively induced weak oscillating EMF that were applied using the special geometry antennas. Containers marked with letters B and D were control samples. All of the containers were placed in a cross-hatch pattern to minimise the local effects of ambient lighting conditions. 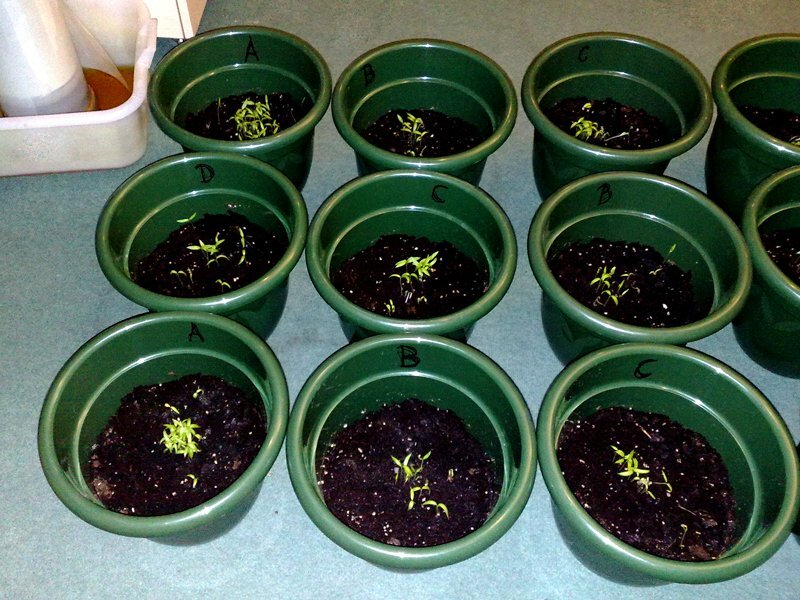 We can conclude that used methods are capable of enhancing germination rate of seeds and rate of growth of seedlings. Modified versions of the same methods exhibited similar results with the rate of growth of plants. Same effects were observed with tomato plants and decorative plants. We were curious about the influence of various electromagnetic fields on the metabolism of the grown plants. Since grown plants are usually located in the outdoor environment, we considered modifying the technology used in our indoor experiments. However, equipment needed for the outdoor experiment had to be more durable to the environmental influences and with low power consumption. Finally, we used entirely different methods than the ones used in our indoor experiments. In this particular experiment, we treated fig tree to ascertain the viability of our approach. 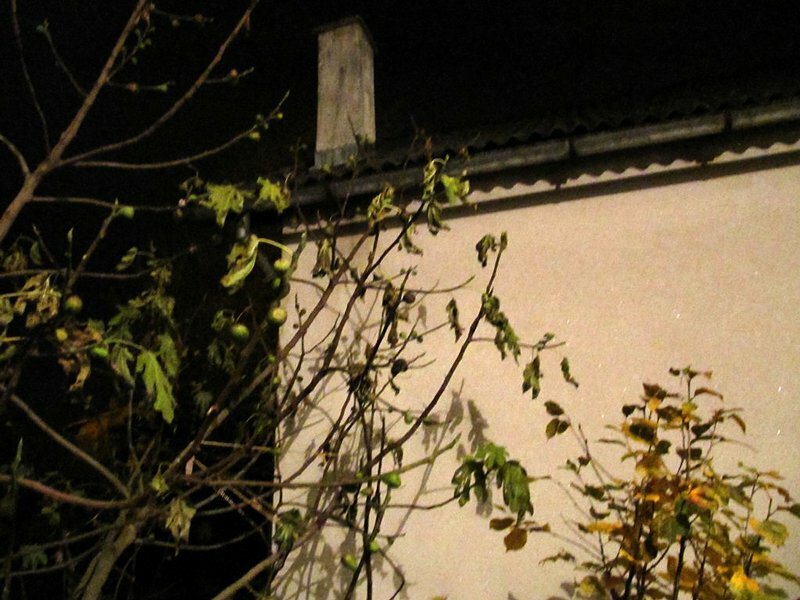 In this case, the fig tree was located in the deep shadow of the surrounding buildings during most of the day, so it received low amounts of sunlight. The location is in the geographical area of continental climate, with high moisture content and with local temperatures that are 3- 5°C lower than the average temperatures in that region. Local microclimatic conditions during winter are detrimental to fig trees with temperatures that get as low as -10°C. The small fig tree that was planted in such environment exhibited a meagre rate of growth and was producing one crop of figs yearly. The fig fruits were not getting ripe and were inedible. During one year period, the fig tree was treated by our methods intermittently and exhibited an enhanced rate of grow comparable to the fig trees growing in favourable conditions of Mediterranean climate. 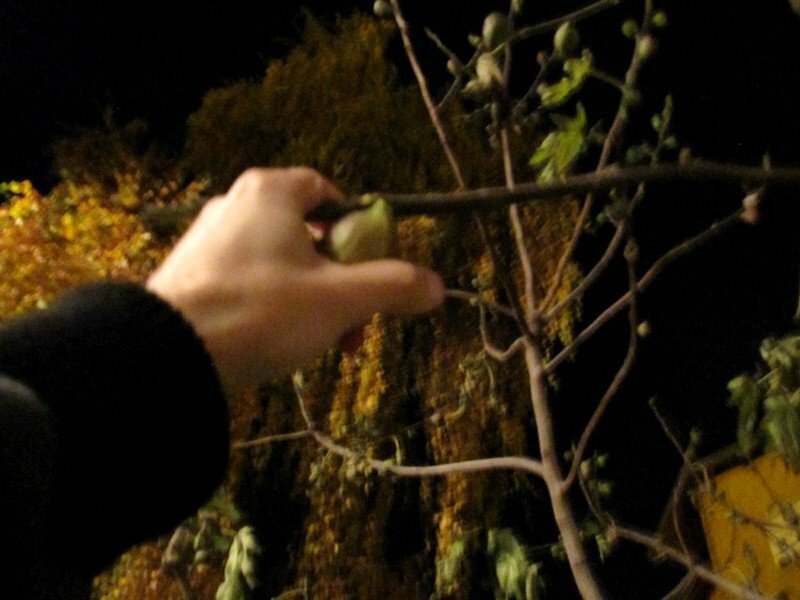 The following year we modified our techniques, and the fig tree was treated continuously by an automated system. 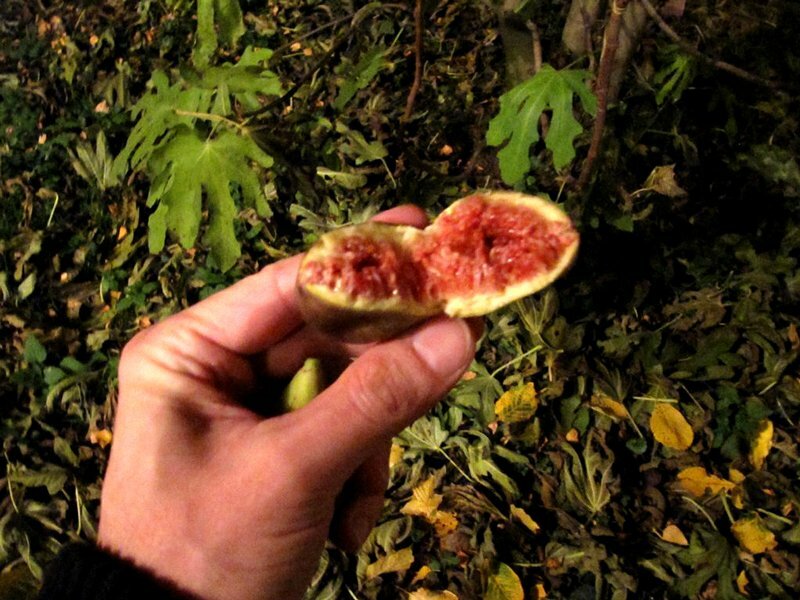 During that summer, the fig tree produced two crops which were entirely ripe and edible. An interesting fact is that the last crop was produced by the end of October and beginning of November. The surrounding trees were already preparing for winter; their leaves lost most of their chlorophyll and started falling to the ground. The treated fig tree leaves still contained most of their chlorophyll, and the fig fruits were ripe and edible. During winter fig tree was not treated in any way to allow it some time to recover. In the spring it usually started its metabolic processes and retained its slow rate of growth. During the following year, we didn’t treat it in any way, and its crop was once again not entirely ripe and was inedible. Another year passed, and we restarted our treatments to which fig tree once again responded with an enhanced rate of growth and produced two crops which were entirely ripe and edible. We conclude that it is definitely possible to enhance plant growth and crop production in the outdoor environment by using appropriate technology. So far we have experimented with at least six different methods of seed germination and plant growth enhancement. Achieved results lead us to the conclusion that it is possible to enhance seed germination and plant growth by technological means. We also concluded that it is possible to combine different technologies to apply such methods both in indoor and outdoor plant growth. We find it particularly interesting that when the proper techniques are used, the plants are capable of producing high-quality crops in the unfavourable environmental conditions. In our experiments, we didn’t use micronised and activated zeolite which should further enhance observed effects. Based on the results of our experiments we conclude that using technological means to enhance the metabolism of seed and plants have great potential to increase crop yields in commercial food production. Another interesting application is the use of the specially designed geometry antenna in the small-scale gardening and growth of decorative plants. Copyright © 2009 – 2019 RT17 d.o.o. All rights reserved.